ZENEC�s response to these questions is called E>GO and stands for a new generation of car specific moni- and naviceivers, which are perfectly adjusted to the original cosmetics of various vehicle types: Pioneers to compliment the original interior of selected vehicles. The first models out of the E>GO line up is the ZE-MC2000, that offer perfect match of style, look and colours with the interior of the VW GOLF V platform. Starting with the colour of the front panel with a high quality rubber oil coating, over the stylish red/blue day and night illumination up to the elegant design - everything custom- made to fit to the environment, up to the tiniest detail. 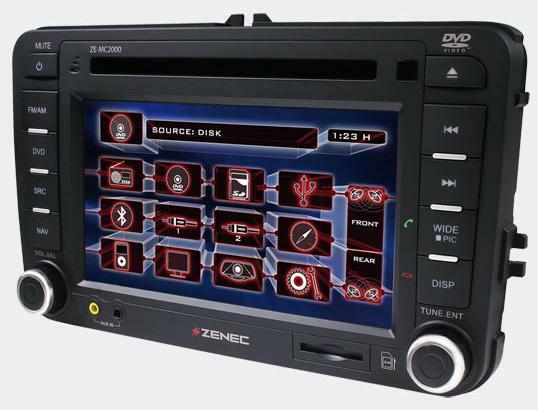 With its 100 percent looks, ZENEC�s moni-/naviceivers do harmonize perfectly with any VW GOLF V platform based vehicle - in a way that usually only original devices are able to do. ZE-MC2000 can thus fit to a large model base, because the GOLF V platform is large and covers VW Jetta, EOS, Passat, Caddy, Tiguan, Touran or even the new 2008 Scirocco. This platform is extendable, because with a new trim piece both moni-/naviceivers will also fit to the SEAT models. The general features are more or less identical with the functionality and specs of the ZE-MC292, however the E>GOs are customized to the �target car� to match the front plate of the respective vehicle. E>GO finally stands for a completely logical overall concept, and is therefore the ultimate concept for the future. Ingeniously Simple + Easy ZENEC�s new moni-/naviceivers can be integrated without difficult mounting or any additional adapters - directly into the original radio slots of all vehicles compliant with the GOLF V platform (see also separate price list). 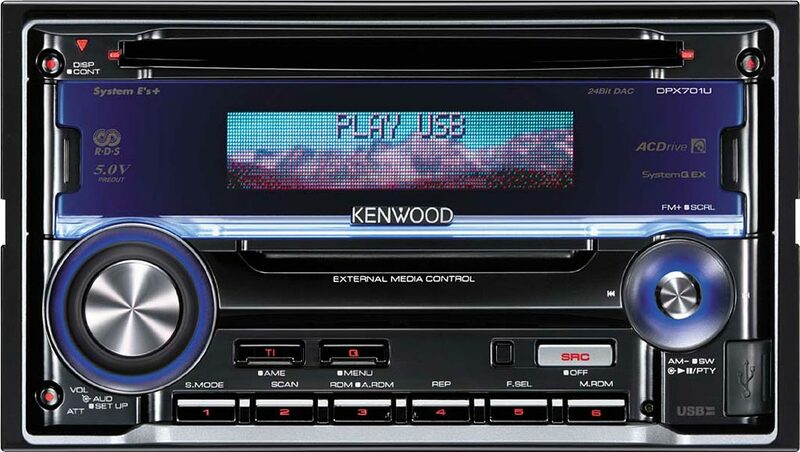 Just remove the original radio, install your E>GO unit and start enjoying a whole new experience. On top of all that, E>GO allows the continued use of factory installed steering wheel remote controls - just connect your E>GO moni-/Naviceiver to the vehicle harness, and you are ready to go. Thanks to the integrated Stalk/CAN bus interfaces, the functionality of all components installed by the factory is fully retained. ZENEC E>GO - ingeniously easy, visually perfect!